In light of the measles outbreaks in California and now in Nevada, many, including myself, have wondered how we’ve come to this point where a completely preventable disease seems to threaten the lives of so many. While there are recognized legitimate reasons to opt-out of receiving vaccinations, such as for medical and religious reasons, several states allow for opting-out based only on personal beliefs against a scientifically proven fact. As California suffers from the greatest measles outbreak in this country in over a decade, lawmakers have begun to consider repealing the personal belief exemption. 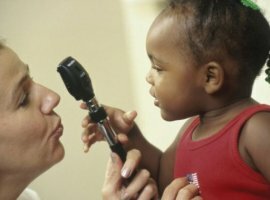 If repealing the provision proves to be impossible, seeing as how the parents of over 10,000 kindergarteners in California have already chosen to take advantage of the exemption for non-religious reasons, it may be necessary to consider other strategies to encourage a rate of vaccination high enough to maintain herd immunity within our communities. Jacobson v. Massachusetts was a seminal case in public health law from the early 20th century because it held that the State could mandate vaccinations, or other public health measures, when necessary to protect public health and safety. The Court recognized some limits to this intrusion of liberty, such as when an individual would suffer harm from the measure or when the individual would be unduly burdened — as in the case of someone with strong religious beliefs against the measure. Furthermore, the Court articulated some general standards: the measure must have a real and substantial relation to the public health goal and the burden caused must not be disproportionate to the benefit. The public health measure in Jacobson met these standards — it compelled smallpox vaccination during an outbreak or required payment of a nominal monetary fine for those who refused to comply without a legitimate reason. As Jacobson had no medical reason to opt-out of receiving the vaccination and had not asked for a religious exemption, the Court found that he was required to either be vaccinated or to pay the fine. His skepticism toward the medicine and doubt in the government were not enough. Jacobson’s reasoning sounds strikingly familiar to the reasoning of many who choose to opt-out today, yet today the science is even more advanced and the benefits of vaccination are even clearer. Next week the Court hears a major challenge to Obamacare, King v. Burwell. Readers of this blog know the case has deep importance for health care. But it also is a big case for law. I have previously detailed why the case is the big test for the Court’s current text-oriented statutory-interpretation philosophy known as textualism. Today, in Politico, I explain why the case is also fundamentally about state rights. The question is whether the Court’s many federalism-protecting doctrines–which, let’s not forget, the Court applied against the Government in the last Obamacare case–whether those federalism doctrines, like the Court’s textualist rules, are sufficiently legitimate and objective such they will apply regardless of which side they happen to support, even in a case as politicized as this one. After all, isn’t that the point of having a rule of law in the first place? Robert D. Truog is Professor of Medical Ethics, Anaesthesiology & Pediatrics at Harvard Medical School and a Senior Associate in Critical Care Medicine at Children’s Hospital Boston. Dr. Truog received his medical degree from the University of California, Los Angeles and is board certified in the practices of pediatrics, anesthesiology, and pediatric critical care medicine. He also holds a Master’s Degree in Philosophy from Brown University and an honorary Master’s of Arts from Harvard University. Dr. Truog’s major administrative roles include Director of Clinical Ethics in the Division of Medical Ethics and the Department of Social Medicine at Harvard Medical School, Director of the Institute for Professionalism and Ethical Practice at Children’s Hospital, and Chair of the Harvard Embryonic Stem Cell Research Oversight Committee (ESCRO). Dr. Truog has published more than 200 articles in bioethics and related disciplines, including recent national guidelines for providing end-of-life care in the Intensive Care Unit. He is Principle Investigator on an R0-1 grant from the NIH to improve end-of-life care in pediatric intensive care units. In his role as Director of the Institute for Professionalism and Ethical Practice, he conducts research and develops educational initiatives related to communication and relational skills. He lectures widely nationally and internationally. His writings on the subject of brain death have been translated into several languages, and in 1997 he provided expert testimony on this subject to the German Parliament. Dr. Truog is an active member of numerous committees and advisory boards, and has received several awards over the years, including The Christopher Grenvik Memorial Award from the Society of Critical Care Medicine for his contributions and leadership in the area of ethics. A full agenda is available on our website. We often talk, in bioethics, about individual autonomy. Yet our most challenging ethical, legal and clinical controversies in health care often center around family roles and responsibilities: How should we handle parents’ refusals of medically recommended treatment or, conversely, parents’ requests to medicate or surgically alter their children? What should be known, and by whom, about a child’s genome, especially when genetic information effects other family members? What weight should be given to family interests in decisions about a child’s health care? How should we think about 3-parent embryos? Gamete donors? Gestational mothers? What rights and responsibilities should fathers have with regard to decisions about abortion and adoption, for example, as well as health care decisions for their offspring? Health care decisions might be messier, but maybe they would also be better if we gave more attention to family matters, and how families matter. This multidisciplinary program has been developed to inform and deliberate with ethicists, health care providers, attorneys and the public about changes in conceptions of the family and medical technologies and practices that challenge moral conventions and contemporary law. Faculty experts and participants will engage in thoughtful discussion regarding a broad range of ethical and legal issues that arise from new ways of creating and new ways of understanding families and providing health care for expectant parents, growing fetuses, infants, children, adolescents….and their families. Co-sponsored with the Center for Bioethics at Harvard Medical School, with support from the Oswald DeN. Cammann Fund. The fragmented nature of regulatory authority over food in the United States is well known. More than a dozen federal agencies are responsible for the safety of the nation’s food supply. The Food and Drug Administration (FDA) and the Department of Agriculture (USDA) have the lion’s share of responsibility, together overseeing over 80 percent of the nation’s food safety. Generally, the USDA regulates meat, and the FDA regulates everything else, but overlaps, exceptions, gaps, and therefore examples of resulting absurdities abound: the FDA regulates frozen pizza, unless it has pepperoni. The FDA regulates seafood, unless it’s catfish. The USDA has jurisdiction over packaged open-face meat sandwiches, but if the sandwiches are closed, authority shifts to the FDA. This division in regulatory authority is neither planned nor rational. It is instead a historical accident, originating in the early twentieth century. When the Pure Food and Drug Act and Meat Inspection Act were passed on the same day in 1906, both targeting the adulteration of the food supply, their oversight was assigned to different departments within the USDA. The fissure widened when the FDA was moved out of the USDA in 1940. This divided regulatory framework is not the only reason for the fragmentation of regulatory authority over food in the US, but it is a main driver. The President’s 2016 Budget, released last week, attempts to put the pieces back together and consolidate control over food safety. It proposes a new agency within the Department of Health and Human Services (HHS) that will incorporate the food safety functions of the FDA and the Food Safety and Inspection Service (FSIS) of the USDA. As the majority of state legislatures get back in session, it is clear there will be no dearth of “anti-choice” legislation proposed and considered throughout the country. In Texas, Representative Matt Krause (R-Fort Worth) is pushing a new law that would provide representation to fetuses in court hearings. This law responds to Marlise Munoz’s case, a brain-dead pregnant woman left on life support for two months because doctors refused to honor her family’s request to remove her from life support. Doctors claimed they were prohibited from doing so because Texas law prohibits withdrawing or withholding life-sustaining treatment from pregnant patients, regardless of their previously-expressed wishes. South Dakota Representative Isaac Latterell (R-Tea) is sponsoring House Bill 1230, which seeks to ban dilation and evacuation (D and E) procedures sometimes used in second-trimester abortions. The bill uses inflammatory and graphic language (for example, making it illegal to “knowingly behead a living unborn child”), arguably intended to provoke disgust over the procedure to increase support for the bill. HB 1230 includes criminal penalties and physicians violating the law may be charged with a Class 1 felony and face fifty years imprisonment. There is a delicate balance between preserving individual rights and protecting public health when it comes to vaccines, experts argued at a panel discussion at Harvard Law School on Wednesday. What Happens When A Retail Pharmacy Decides To Stop Selling Cigarettes? This new post by Andrew Sussman appears on the Health Affairs Blog, as part of a series stemming from the Third Annual Health Law Year in P/Review event held at Harvard Law School on Friday, January 30, 2015. The sale of cigarettes and tobacco products at retailers with pharmacies has received considerable attention over the past year. The national debate reignited in February 2014, when CVS/pharmacy announced that we would quit the sale of cigarettes and tobacco products in our 7,800 pharmacies nationwide. In September 2014, we announced we were officially tobacco free — one month earlier than planned. This was met with kudos from the media, public health officials, and even the President of the United States. But one question that did not receive anywhere near that level of attention was whether or not our actions would make a difference in the prevalence of smoking and, ultimately, in the public health.